Provides a variety of services for government and private sector organizations. These services include security inspections, TRAs, BCPs, Privacy Impact Assessments, Administrative Investigations, writing policies, procedures and guidelines as well as Training and Security Awareness. We have a lot of experience in preparing Departmental Security Plans, Workplace Emergency Evacuation Plans, Security Manuals and other specialized documents. Mr. Albert Bissonnette has been deemed a 'competent person' to investigate violence in the work place incidents and has conducted many such investigations. GTA EMCI provides a full scope of professional training services. Incident Management System Training is comprised of 3 modules: IMS 100 Introduction, IMS 200 Basic, IMS 300 Advanced; Emergency Operations Centre Training is designed for strategic leadership ​in an emergency event; Basic Emergency Management Training covers the four pillars of Emergency Management; Exercise to succeed, we are able to customize exercises to your industry specific needs for the most cost effective training for you. 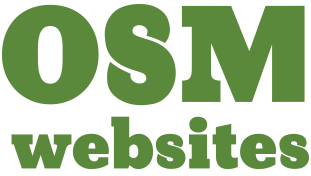 OSM Websites was established in 1997. We are a full service website design, development, and hosting firm. With our extensive website design and website development experience, we would love to partner with you to help your business or organization achieve it's online goals. Regroup Mass Notification is the leading provider of mass communication solutions, offering a powerful, yet easy-to-use Emergency and Mass Notification platform designed to streamline internal and external communications. Slingshots is a communications service rovider, growing globally with a focus on local customers; with over a dozen points of presence (POP’s) and data centers across US and Canada, providing business phone service, simplified.